Magical folklore meets logical science! WHY?’ As educators and parents, don’t we all agree that this is a child’s favorite question? We constantly strive to answer these curious questions in the most interesting way. And I have discovered that Pourquoi tales are a great way to answer children’s most loved question. Pourquoi is the French word for ‘why’. Pourquoi tales offer a fantastical explanation for why a certain phenomenon happens, which in turn encourages children to explore the science behind it. 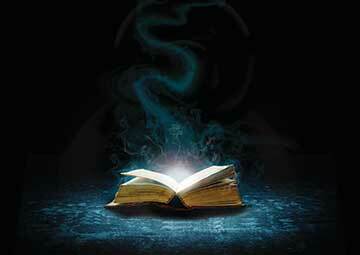 Pourquoi tales have certainly helped me to use the magic of stories to delve into concepts of science. Through this article, I share my experiences of using pourquoi tales in the classroom. While teaching science to students of grades 2-4, it struck me how a pourquoi tale can generate interest in science, especially for topics that cannot be taught through hands-on experiments. The fascinating, fictitious explanations provided in these tales for how and why things are the way they are appealed to my students. And as a teacher it became easier for me to discuss the facts of science after a fun fictional story. In one of my science sessions, I wanted to discuss how animals adapt to their environment for survival. To initiate the discussion, I narrated a pourquoi tale I wrote, Why do chameleons change colours? In the story, a tiny curious chameleon lands herself in trouble with an evil eagle in the jungle. And a wise tortoise advises the little chameleon to “hide and not run”. Eventually, the chameleon learns to hide by covering herself in the colours of the jungle. My students were engaged during the story and post the story telling session, they were extremely willing to discuss questions like – Why does the tortoise have a hard shell? Why does a cheetah have spots? How do other animals adapt in the jungle? You see, one story and one question led to many more questions and many more answers. Another pourquoi tale I have used in grades 3 and 4 is ‘How the moon regained its shape’ by Janeth Ruth Heller. It explains how the moon got its phases. In addition, issues like bullying and self-esteem are beautifully weaved into the story. The sun is a bully and insults the moon. That is when the moon becomes sad, shrinks and leaves the sky. The moon’s friends – comet, rabbit, native Indians, help to get her self-esteem back and that is when she regains her full shape. Post the story narration, the students were very interested to learn the real reason for the phases of the moon. We physically demonstrated the phases of the moon through a simple experiment, and also made a lunar calendar. We talked about how children can deal with bullies as well. One reason why a pourquoi tale works so well in the class is that the explanation provided in the story is so fantastical that students get very intrigued to find the real reason. However, it might not always be possible to find a pourquoi tale related to a topic. If that is the case, you could write one. Or adapt an existing story, add twists to it and turn it into a pourquoi tale. For instance, if you would like to discuss the lifecycle of a butterfly with young children, you can adapt the story, ‘The butterfly that sat on a rainbow,’ by Sudha Chowdhry and Vinita Krishna (published by Pratham Books) and adapt it to make a pourquoi tale. This story is about a white butterfly who wanted colours. Writing pourquoi tales is an enjoyable and meaningful activity for the class. Do you wish that your children create their own pourquoi tales? Here is a format that I have used in my classrooms. Create an original porquoi tale with your young writers! Brainstorm various “why” topics with children. Zero down on one topic. Ask guiding questions to help children create their pourquoi tale. I will explain each question by giving examples from my story. E.g.,Why do chameleons change colours? What is the setting of your story? When does it take place? What is the explanation for why the phenomenon occurs? Write the sequence of events that leads to the explanation in the story. E.g. How does the chameleon get in trouble with the eagle? E.g. And that is why chameleons change colours till today! Encourage children to make their own story book, illustrate it and read it aloud to the class. Literacy connection: Students learn to recognize elements of a pourquoi tale, write a pourquoi tale, and enact the same. Bring the world into your classroom by using pourquoi tales from different cultures. Pourquoi tales are sure to get laughter and knowledge to your class. Happy storytelling! ‘How and Why Stories for Readers Theatre’ by Judy Wolfman, Libraries Unlimited, 2004. The author works as an educational consultant and a storyteller in Pasadena, California. She can be reached at sushreemishra1984@gmail.com.